The names of four Philadelphia Police officers killed in the line of duty in 2008 were engraved Wednesday on the marble walls of the National Law Enforcement Officers Memorial in Washington, DC. Sergeants Stephen Liczbinski and Patrick McDonald were shot and killed by armed criminals, and Sergeant Timothy Simpson and Officer Isabel Nazario died in violent traffic crashes. The four deaths were the most suffered by any U.S. law enforcement agency last year. "2008 was a tragic and heartbreaking year for the Philadelphia Police Department," said Craig W. Floyd, chairman and CEO of the National Law Enforcement Officers Memorial Fund, which maintains the nation's monument to fallen officers. "By inscribing their names on this national Memorial, we ensure these heroes will never be alone, they will never be forgotten." Police Commissioner Charles H. Ramsey led a delegation of family members, loved ones and police officials from Philadelphia to witness the engraving of the four names on panels 3 and 4 of the east wall of the Memorial, located in Judiciary Square in downtown Washington, DC. Dedicated in 1991, the Memorial now honors 18,661 law enforcement officers who have died in the line of duty throughout U.S. history. Since its first line-of-duty death in 1828, the Philadelphia Police Department has lost 251 officers, the third highest total among municipal police agencies in the country, behind only the departments in New York City and Chicago. Philly.com, article: "In D.C., remembering 4 fallen Phila. officers"
CBS3, video: "Slain Philly Officers Honored at National Memorial"
WPVI-TV ABC, article: "Fallen Philadelphia Officers Remembered"
Constable James Quinn served the Chicago Police Department for just nine months before being killed in the line of duty in 1853. He was serving an arrest warrant on a man in a notorious criminal hideout known as the Sands when he was severely beaten and attacked by a saloon owner who was attempting to help the suspect. Constable Quinn suffered fractured ribs and a punctured lung; yet, he returned twice more, suffering severe beatings each time, to arrest the original suspect, along with the saloon owner. He died as a result of his injuries, just three days after his original visit, on December 5, 1853. Constable Quinn's death marked the Chicago Police Department's first line-of-duty death, and recognition for it has long been elusive. 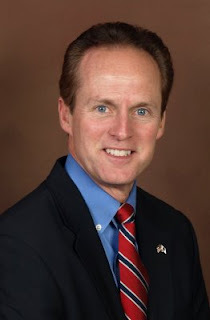 Chicago Alderman Ed Burke was among those who championed recognizing Constable Quinn's death for many years, and included him in a historical survey of Chicago officers killed in the line of duty that he published with Thomas O'Gorman in 2006 - End of Watch: Chicago Police Killed in the Line of Duty, 1853-2006. Constable Quinn's name was engraved in Panel 24-E, Line 26. His death is one of the 254 historical cases discovered through research that are being honored this year. There are now 474 Chicago Police officers honored on the Memorial, the second most of any law enforcement agency in U.S. history. 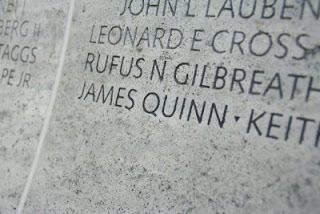 Read more about Constable James Quinn at the Officer Down Memorial Page. See the full list of officers whose names are being engraved this year. U.S. Border Patrol Deputy Chief Ronald Colburn, accompanied by several other Border Patrol agents, attended the engraving of Senior Patrol Agent Luis Alberto Aguilar and Border Patrol Agent Jarod C. Dittman at 11 a.m. (EDT) today. An Academy class from the Prince George's County Police Department, who happened to be there on a special trip to the Memorial to recognize Prince George's County officers killed in the line of duty, joined the Border Patrol agents in standing watch as the names of Senior Agent Aguilar and Agent Dittman were engraved into the Memorial. Deputy Chief Colburn said a few words before the engraving took place, speaking eloquently about the importance of serving America through law enforcement and the legacy that both agents left behind. He also made a special note of the danger one faces when becoming an officer, impressing the significance of this fact on the recruit officers, commenting that they may one day face the loss of one of their fellow classmates. Senior Agent Aguilar and Agent Dittman are two of 387 officers whose names are being engraved in the Memorial walls in a two-week process that started this past Tuesday, April 21, preparing for National Police Week in May. Read the full list of officers whose names are being engraved this year. Watch the Candlelight Vigil live - learn about our first-ever video-cast. NLEOMF has been hosting the Candlelight Vigil at the Memorial in Washington, DC, for more than two decades - before the Memorial was even completed. This year, with the help of Officer.com, the moving ceremony will be videocasted live over the Internet for the first time ever. This means that no matter where you are or where you live, you will be able to participate live in the Vigil - you can see the candles light up, watch the beams of blue light spread to make a shield of thin blue lines, and listen to every tone of "Going Home." This year, the names of 387 officers will be engraved in the Memorial, each of them read aloud during the Vigil ceremony. The Candlelight Vigil will begin at 8 p.m. (EDT) on Wednesday, May 13. To register online for the live videocast, visit www.nleomf.org/NPW2009. More information about the Candlelight Vigil and National Police Week. A complete list of officers whose names are being added to the Memorial this year. View Washington, DC, local news coverage and watch video of this year's Engraving Day Ceremony, held at 11 a.m., on April 21. The ceremony marks the beginning of the two-week engraving process that adds officers to the Memorial walls. Today, at 11 a.m., the solemn process of adding the names of more fallen law enforcement heroes to the National Law Enforcement Officers Memorial in Washington, D.C., began yet again. Under mostly sunny skies, and working with great care and precision, engravers Kirk Bockman and Jim Lee sand-blasted seven fallen officers’ names into Panel 6-West, Line 27, of the Memorial—part of the annual Engraving Day ceremony that marks the symbolic beginning of the two-week process of adding new names. Bockman and Lee have engraved every single name on the Memorial’s marble walls, dating back to its construction and dedication in 1991. Once they are finished adding this year’s names—a total of 387—the pair from Denver, CO, will have engraved 18,661 names on the nation’s monument to fallen law enforcement officers. The 387 names being added this year include 133 officers who died in 2008, plus 254 who died in previous years but whose sacrifice has just recently come to light. 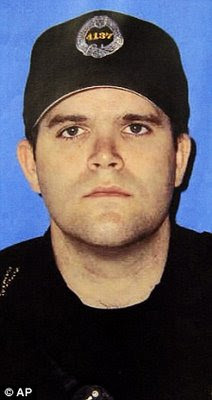 One of those heroes is Prince George’s County (MD) Police Sergeant Richard Findley. He died last June 27 after being intentionally struck and killed by the driver of a stolen vehicle who was trying to elude police. Family members, friends and co-workers of Sergeant Findley, including Chief of Police Roberto Hylton, were on hand to witness his name being engraved. “Police officers dedicate their lives to working in an occupation where life and death too often meet. Sergeant Findley, unfortunately, lost his life while serving as a protector to the residents of Prince George’s County,” Chief Hylton said. 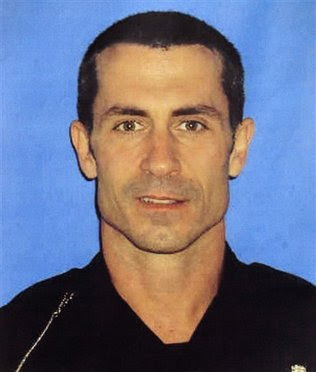 Officer Kenneth Surles, Pell City (AL) Police Department, EOW July 4, 2008. The 387 heroes engraved this month will be formally dedicated on the Memorial during the 21st Annual Candlelight Vigil, at 8 p.m. (EDT) on Wednesday, May 13. And, for the first time, we will be providing a fee live videocast of the vigil over the Internet. Register today at http://www.officer.com/events/candlelight09/register/index.jsp. 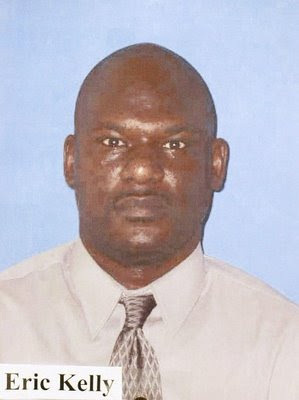 Los Angeles Police Detective Arleigh McCree was widely recognized as one of the top explosive experts in the world. He was in charge of the bomb squad assembled for the 1984 Los Angeles Olympics. He had helped investigate the 1983 bomb blast at the Marine barracks in Lebanon. In fact, his reputation was so great that Libyan leader Moammar Khadafy once offered him $140,000 to train terrorists. He was the man his department always called in whenever there was a bomb threat. On February 8, 1986, Arleigh McCree got the call. That morning, police had gone to the home of Donnell Morse, a Hollywood makeup artist. He was a suspect in an earlier shooting and police were there to search for the gun used in that crime. They found a gun, but they also got another surprise: two pipe bombs in the garage. Detective McCree and another member of the bomb squad, 17-year police veteran Ronald Ball, were immediately summoned to the scene. The two officers examined the bombs and determined they were live. They also came to another alarming conclusion—the bombs were booby trapped. Detective McCree warned his fellow officers of the danger and everyone but himself and Officer Ball backed away. The officers then began to diffuse the bombs by hand. That's when the explosion occurred. Detective McCree was killed instantly. Officer Ball was rushed to the hospital and died a few hours later. Throughout history, 73 law enforcement officers have been killed by bomb blasts. Some, like Detective McCree and Officer Ball, died because it is their job to disarm bombs before they harm innocent citizens. Others were targeted by bomb-wielding terrorists. More than a few were simply in harm's way when trouble came calling — a common problem for law officers. The first known bombing incident to take the life of a police officer occurred on May 4, 1886. Seven Chicago police officers were killed when a bomb exploded on a city street. The bomb-throwing incident was part of the "Haymarket Riot," a tragic civil disorder centered around a labor dispute. Killed in the blast were Patrolmen Mathias J. Degan, John Barrett, George Miller, Timothy Flavin, Thomas Redden, Nels Hansen and Michael Sheehand. Some 70 others in the crowd were injured in the bombing. Even under the most favorable conditions, explosives can still be extremely dangerous, especially those that are illegally manufactured. In 1992, Special Agent Johnny Masengale with the Bureau of Alcohol, Tobacco and Firearms (ATF) was working with a team of federal and military explosives experts at Fort Lewis, Washington, preparing to destroy a highly volatile mixture of explosive materials that had been seized the day before. As they were preparing for a controlled ignition, the materials detonated prematurely. On December 12, 2008, law enforcement officers responding to a bomb threat at a bank in the town of Woodburn, Oregon, discovered a suspicious case in the bushes nearby. As they attempted to secure the case, it exploded, killing Woodburn Police Captain Thomas Tennant and Oregon State Police Senior Trooper William Hakim. To read Mr. Floyd's article in full, click here. "On Tuesday morning, I was in my office and I was just overwhelmed with the sadness that was filling the station at the time. So I happened to step outside and noticed the line of people dropping off small mementos, bouquets of flowers and food to our station to sort of show their support for our officers and understand what we are all going through as a city..."
Watch and listen - KDKA (video): http://kdka.com/video/?id=55894@kdka.dayport.com. Public viewing of the Pittsburgh officers begins. Pittsburgh community members have been expressing deepfelt condolences for the three officers at KDKA's website. The outpouring of grief over their loss, sympathy to their families, and thanks and appreciation to the three heroes who sacrificed their lives for the city of Pittsburgh have created a living online memorial: http://kdka.com/fallenofficers. April 6 - More law enforcement officers were killed in Saturday’s shooting rampage in Pennsylvania than in any other single violent incident perpetrated by a domestic political extremist since the 1995 Oklahoma City bombing. In many professions, getting an assignment late in the work day brings the luxury of waiting until tomorrow to get started. But not in policing—and certainly not for the three dedicated members of the Pittsburgh Police Bureau who lost their lives over the weekend answering one more call before the end of their shift. Officers Stephen Mayhle and Paul Sciullo II were in the last hour of their midnight tour of duty when the seemingly routine call was dispatched just after 7 am on Saturday: domestic disturbance at a home in Stanton Heights. Officer Eric Kelly had actually just finished his shift and was on his way home when he heard the call come out. Still in uniform and driving his personal vehicle, he detoured to the scene to back up his fellow officers from Zone 5. Arriving on the scene, all three officers were met by 22-year-old Richard Poplawski, armed with an AK-47 assault rifle and laying in wait to ambush the officers from inside the home. The officers didn’t stand a chance. Each suffered fatal gunshots wounds, making Saturday the deadliest day in the 150-year history of the Pittsburgh Police Bureau. That these three men responded so quickly and diligently to a call for help speaks volumes of the incredible dedication that law enforcement officers display every day—in Pittsburgh and in communities across the United States. Law enforcement officers don’t “take a message” or “transfer calls into voice mail” or promise to “get back to you in the morning.” When the call goes out, they respond without hesitation and often without regard for their own safety. Most of us take that level of commitment and courage for granted. It’s what we’ve come to expect from our law enforcement officers because that’s what they have delivered—day in and day out, 9-1-1 call after 9-1-1 call. Unfortunately, it takes a tragedy like Pittsburgh for many of us to realize just what our law enforcement officers do for us on a daily basis. So the next time you put a caller on hold or send them into voice mail, think about Officers Kelly, Mayhle and Sciullo, and think about the officers protecting your own community right now. They don’t have that same luxury—and, quite frankly, they wouldn’t want it any other way. Video: "Pittsburgh Mourns Loss of Three Officers"
Just two weeks after four Oakland (CA) Police officers were shot and killed by a heavily armed criminal, three members of the Pittsburgh (PA) Police Bureau have been gunned down by a man armed with assault-style weapons and wearing body armor to protect himself. The NLEOMF hopes that these two extremely violent and tragic incidents are isolated events and not the beginning of a deadly new trend of brazen attacks on law enforcement in the United States. The incident in Pittsburgh began early Saturday morning (April 4), when police received a call of a domestic disturbance in the Stanton Heights neighborhood. Officers Paul Sciullo II and Stephen Mayhle were dispatched to the scene, which was described as a domestic argument between a mother and son with no weapons involved. Officer Eric Kelly, who had just finished his midnight shift, was on his way home when he heard the call and, still in uniform, responded in his personal vehicle. The officers were met almost immediately with gunfire from the 22-year-old murderer, who apparently knew his mother had called the police and lay in wait to ambush the police. Officers Sciullo and Mayhle were gunned down, both shot in the head, as they approached the front of the home. Officer Kelly was shot as he pulled up to the scene, and although gravely wounded, he managed to radio the “officer down” call. During the ensuing standoff, two other officers were injured as they and fellow officers valiantly removed the fallen officers from the scene, under a regular hail of gunfire. Saturday was by far the deadliest day in the history of the Pittsburgh Police Bureau, which had previously lost 62 officers dating back to the first officer death in August 1885. The only other time in which more than one officer was killed in the same incident was March 1991, when Officers Thomas Herron and Joseph Grill died in a vehicle crash during a pursuit. Prior to Saturday, it had been more than 13 years since a Pittsburgh Police officer had been killed in the line of duty: Sergeant James Henry Taylor Jr. was shot and killed in September 1995 when, while off duty, he confronted an individual spray painting graffiti. The fact that Saturday’s multiple fatalities occurred following a domestic disturbance call is not unusual. Throughout law enforcement history, close to 600 officers have been killed while responding to these types of calls. In September 2007, three members of the Odessa (TX) Police Department were gunned down in remarkably similar fashion as they responded to a seemingly “routine” domestic call. And data from the FBI indicate that disturbance calls account for about 30 percent of all assaults on law enforcement officers in the United States—the highest percentage of any type of call. Once again, the NLEOMF joins the entire law enforcement community in extending its sympathies to the families of the fallen Pittsburgh Police heroes, to Chief Nate Harper and the members of his department, and to the entire city of Pittsburgh, which now finds itself without three of its dedicated protectors. We, of course, will ensure that these officers’ service and sacrifice will never be forgotten. Ms. Denise Harvey, a longtime resident and citizen of Oakland, Calif., wrote a heartfelt letter to Bonnie Hayes, our Director of Retail Operations, March 28, about the killings of Oakland Sergeant Mark Dunakin, Sergeant Ervin Romans, Sergeant Daniel Sakai, and Officer John Hege. With her permission, we would like to share it with all of you. Thank you, Ms. Harvey, for your moving and insightful words. I am writing to you because I am deeply saddened by the recent murders of our Oakland police officers. Oakland has many problems and crime is a huge part. There is a twisted mindset that looks upon those sworn to protect and serve as the enemy, instead of fellow human beings trying to ensure the safety of our city. I'm a 54 year-old Black woman who can recall past inequities and injustices but still, I do not understand it. When I moved to Oakland in 1987, I came to a city beleaguered by drugs, crime, and violence. Hard-working citizens were overrun by people who cared nothing for those trying to live in peace. My grandmother moved from the home she shared with my grandfather for more than 60 years because one too many young men she watched grow to manhood staggered onto her porch to die. This recent tragedy makes it even harder for those who live and work in Oakland. How do you recruit good people for a police force that is under-funded, under siege, and at odds with the communities they are sworn to protect? Crimes are unsolvable because those affected by them are afraid to step forward. Quality of life crimes are low priorities because heinous crimes overwhelm the force charged with investigating and solving them. Some citizens enable this twisted mindset by parroting the same tired rhetoric of the 60's and 70's when the people they refer to would not be willing or qualified to accept a job if it was gift wrapped and handed to them. In this dark hour, with families devastated by the violent loss of husbands, fathers, brothers and uncles, I wanted to tell you that I appreciate the work done by those who raise their hands and swear to uphold and protect the citizens of their towns and cities. I'm not so starry-eyed as to believe that all are perfect or well-suited to the task at hand. Nevertheless, I believe that most who swear to protect and serve do so because they want to make things better for the citizens within their purview. I wanted to share my feelings with you because I am rocked to the core by this insane occurrence. I am looking at the badge I purchased in honor of the election of President Obama and weep at the words inserted in the case. "A matter of honor." Four men lost their lives because of a matter of honor. I weep for their families. I weep for our city. I weep for the citizens who fail to understand the magnitude of this loss. It's just so sad and senseless, Bonnie. It's just so sad. But when I leave for work each morning, I will wave to the officer in the patrol car, and note if he's cute. I will shout out appreciation when a citizen gets nailed for parking where they shouldn't and thereby impeding traffic. But without fail, I will say a silent prayer that the officer I see in the black and white car returns to his or her family, safe and unharmed. For those around you, please let them know. All Black residents of Oakland do not condone the actions of the sociopath that took the lives of our police officers. Please let them know that there are people in Oakland who care about their well-being and the difficult job they face everyday.